Join Us For The 29th Annual Miami Pen Show! 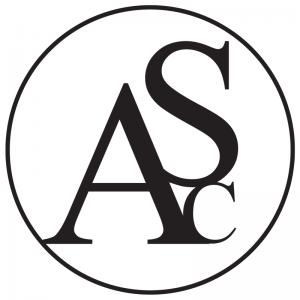 Interested in exhibiting at the annual Miami Pen Show on July 13, 14, 15, 2018? Please view our Exhibit & Advertising Information page.The following companies and manufacturers are scheduled to exhibit and this list will be updated as new exhibitors are added. We thank the exhibitors for participating in our annual pen show. This page is under construction. We have plenty more exhibitors to add, so please check back again soon! A selection of Sailor, Platinum, Pilot, Namiki and Visconti pens will be available for purchase. No ink or paper goods. Fine writing instruments, including rare and vintage Omas pens. Pens, ink, and refills for all your writing needs. Located in Ocean Avenue in beautiful Carmel-by-the-Sea, CA, Bittner encompasses a vast collection of the finest Writing Instruments, rare collectibles, fine papers and note cards, hand bound journals, specialized inks, seals and seal waxes, engraved stationery, watermarked and handmade papers. 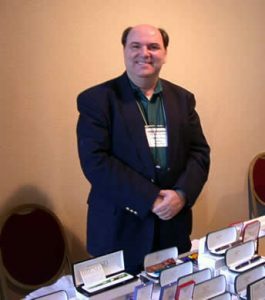 Craig Bozworth – Collector and dealer of fountain pens and knives. Pens, ink, stationery, notebooks and more! Dennis Blaine is the exclusive United States agent / wholesale-distributor for all general markets since 1993 for Picreator Enterprises Ltd. of London, England… by appointment to Her Majesty The Queen .. 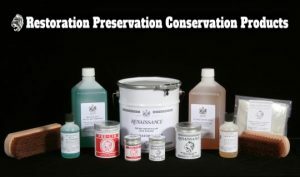 Supplier of Products for Restoration and Conservation – RENAISSANCE WAX/POLISH along with our other fine restoration supplies renowned for their quality, consistency and reliability – used by museums, galleries, professionals and collectors worldwide. Custom and handmade wood pens and other products. Fountain pens, notebooks, Robert Oster inks and more! A long-time and valued member of the fountain pen community. 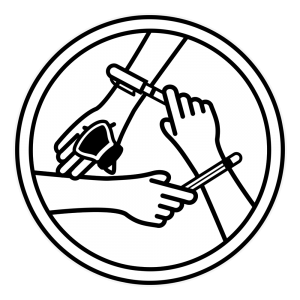 He is a well-known collector, has distributed several Italian pen brands, and also carries an extensive catalog of restoration tools. A wonderful source for fine writing instrument made in Italy. “Writing with a good pen will get you noticed. It’s a jewelry piece. There’s also a history behind every vintage pen. A good pen is marked by personal taste, a great pen determined by its rarity and a prized collectible pen depends on its year of production”. Visit Jim Rouse to see fine quality writing instruments, in all shapes and sizes, and price tags to match! – home of “The Only One in the World” pens. Born in Havana, Cuba in June 1958, Rick Miró arrived in Miami in 1961, just before his third birthday. His creativity blossomed over the years thanks in large part to his father, Jorge, an architect with a passion for design. Handcrafted writing collection includes fountain pens and ballpoint pens. Send your old watch to have deconstructed. Opus Mechan will take those parts and hand make into one of their Chrono Collection pens! Send an old coin or keepsake to have custom made into the best writing instrument you have ever used. Cleo Skribent, Jean-Pierre Lepine, and Waldman pens, plus Papier Plume inks. Wax seals and leather journals will also be available for purchase. For almost two decades, Paul Erano’s passion for beautiful writing instruments has led him on a quest in search of fountain pens through North America. 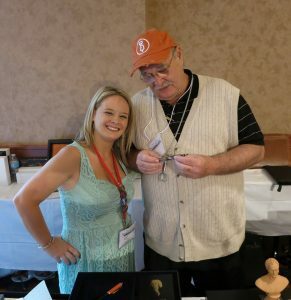 As co-founder of the Hudson Valley Pen Collectors, Mr. Erano shares his interest with other collectors and is a participant in many of the pen showsheld in various parts of the country. He lives in upstate New York with his wife and his daughter, who is particularly fond of green pens. 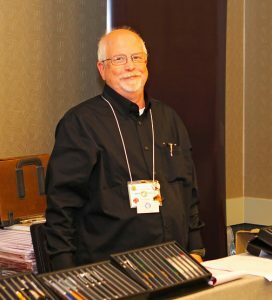 The Pay-it-Forward Project is something that was created with the intent of being available for people to visit a table at every pen show, with an intention of giving back to the community of fountain pen enthusiasts as much as possible. We’ve since continued our efforts, bringing a Pay-It-Forward table to every show that we can make an appearance too. Our goal is to reach every pen show possible. With your help, we’ll be able to. Carl Seidl has long appreciated fine writing pens. 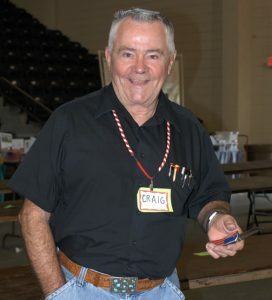 Most recently, he has been combining his love of unique ink pens and woodworking by fashioning pens from a wide variety of wood, acrylics, and other materials. He has been commissioned by the gift shop in Historic St. Mary’s City, Maryland to make pens out of antique tobacco sticks indigenous to the Maryland region. Ryan Krusac Studios create custom hand made Wooden fountain, rollerball and ballpoint pens. They are the 2017 Winner of Pen World’s Reader’s Choice Award for Best Artisan Pen – Legend L-14 pen. Check out their new L-15, new in 2018. Do you love fountain pens, new or old? Do you live in South Florida, and would you like to meet with others who do? If so, you are welcome here. New and vintage pens from Pelikan, Platinum and more. Oscar Rodriguez has been restoring vintage fountain pens, tuning nibs, modifying modern pens with vintage nibs and learning what he can about the background of these fine writing instruments for several years. 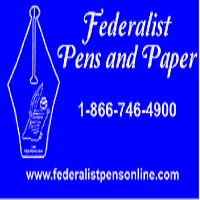 Rodriguez understands that these fine writing instruments are of great importance to you, therefore he will provide the best possible service that he can. If for any reason there is a problem with your writing instrument upon your receipt, simply e-mail Rodriuez and he will make things right or refund your repair fees. Located in Atlanta, Total Office Products was established in1976 and has earned an exceptional reputation throughout the metro Atlanta area. 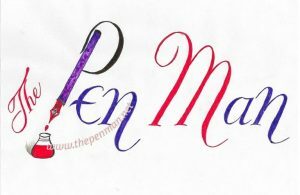 They continually carry over half a million dollars worth of inventory and travel to the majority of the pen shows throughout the United States and have established an incredible following of loyal customers around the country. Writing instruments from Monteverde, Conklin, Hugo Boss, Marlen, Parafernalia, Pineider, Stipula, Diplomat.